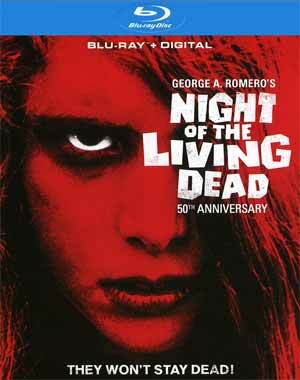 Night of the Living Dead is a great Romero zombie flick and all, but this Blu-ray release through Mill Creek was weak. The video and audio transfers were pretty bad and no features were included. Note: This portion was copied over from Brad Lowenberg’s 2008 Region B Blu-ray release. 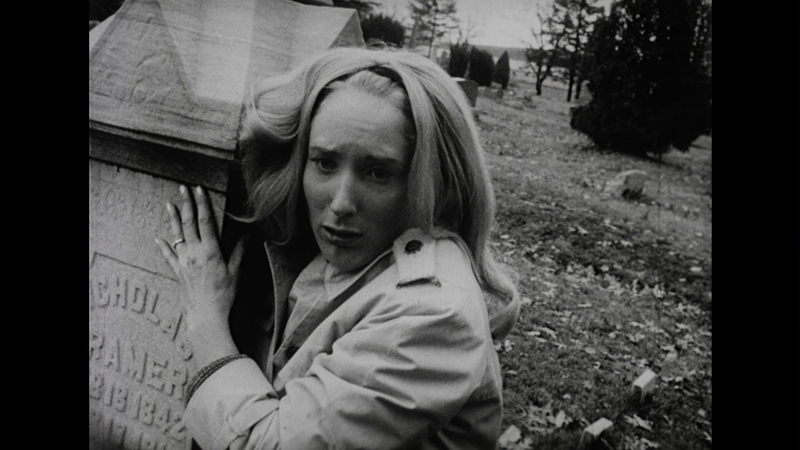 What’s there to say about Night of the Living Dead that has not been said before? If you have any interest in horror movies you have probably already seen this movie several times already. 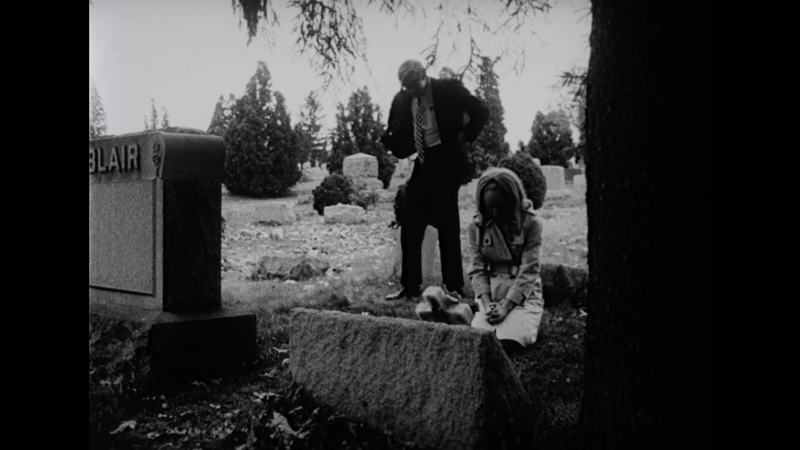 Johnny (RUSSEL STEINER) and Barbara (JUDITH O’DEA) take a trip to visit their father’s grave. At the cementer Johnny is attacked by a crazy man and knocked out while Barbara makes a run for it holding up in an old house. After being freighted inside, she runs out and meets Ben (DUANE JONES), our hero. For the remainder of the movie we meet several other individuals and watch this group try to defend themselves from these killers. I say killers because word zombie is never uttered once in the film yet it started a revolution of zombie knock off films shortly after. If it was not for Romero, I would probably have no interest in horror films. As a youth (around 8) I managed to catch a showing of Dawn of the Dead on cable late at night while I was home sick and was instantly hooked. The story, the music, the characters… this film had it all. The next day, still sick and by myself at home, I rode by bike up to the mall where I convinced the local Suncoast employee that my mom was getting her hair done and to sell me that VHS copy of Night. Well, $35 later I now owned the dual cassette version of Night of the Living Dead and watched it for many months after. Along the way I picked up the version on Laserdisc (still don’t even own a player to watch it) as well as Dawn and Day on VHS. This is, by far, my favorite trilogy of films. Star Wars? Indiana Jones? Back to the Future? Nope, the Dead series is by far the best trilogy. By now you must wonder why there are so many releases of Night. To make a long story short, due to an error by not including a copyright indication on the theatrical prints, the copyrights lapsed and the film is now in public domain. Because of this anyone can release their own version of Night and cash in. This is why if you go to Wal-Mart you will see the $1 version of Night, and then a version by Anchor Bay, and then one by Dimension and one by… so if you really want to watch Night of the Living Dead, it’s extremely easy to. What each new release tries to do is get the approval of George A. Romero (like this one) and include additional bonus features to help sell the disc to fans. With the additional of this disc to my library, I now own six different versions of Night of the Living Dead. Not only do I own three of the black and white versions, but I own the special colored version, the 1990 remake, and the more recent “3D” version. It’s getting to the point where I wonder if I will ever need to own six different versions of the film. The answer for fans is yes. No features were included but there is a Digital Copy download code (only on Mill Creek’s streaming service, however). 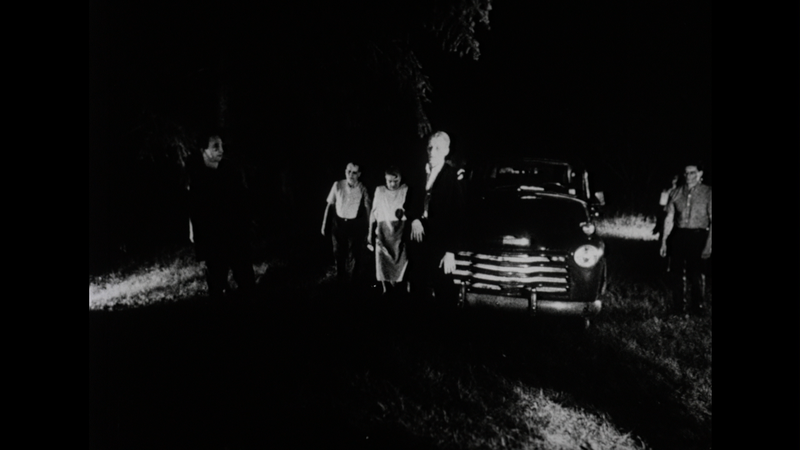 Night of the Living Dead finally, I believe, receives an official release on Blu-ray in the United States, courtesy of Mill Creek Entertainment. Well, it’s rather apparent zero restoration work was done and, as someone suggested online, might very well had taken this from a VHS and then sharpened it. As such, the film is littered with an abundant amount of scratches, specs and dirt and detail is, at best, tenuous. Black levels were alright though appeared on the crushed side. The PCM 2.0 track fairs ever so slightly better, but still it’s not very good. Dialogue itself was fine but I did hear plenty of pops and hisses throughout the movie and the depth, even by these standards, wasn’t that great either. 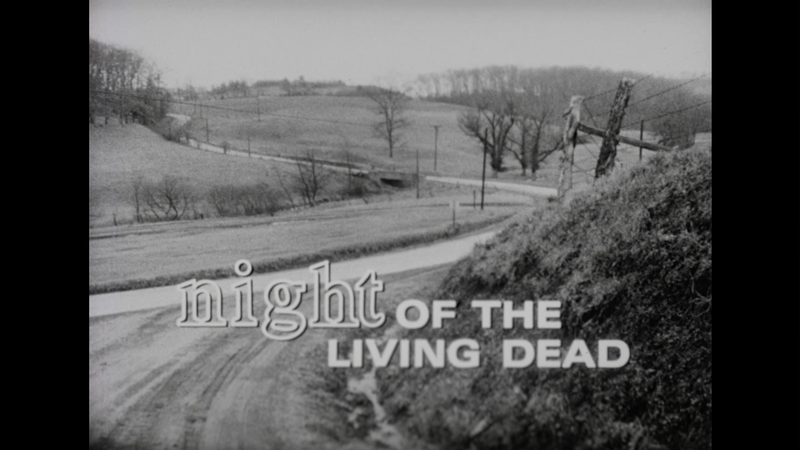 Overall, Night of the Living Dead is a great Romero zombie flick and all, but this Blu-ray release through Mill Creek was weak. The video and audio transfers were pretty bad and no features were included. Should be noted, The Criterion Collection is set to release a re-mastered version with bonus material, so I’d save the $10 and spring the extra cost for that one.